Moving to Haggerston, E2 | High Quality Services - Call Us Today! Moving Service are here to help you move into a new home. 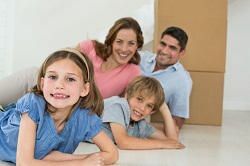 If you’ve ever moved before, you’ll probably have encountered the hassle and annoyance that comes hand in hand with the difficult moving process. When you have so much to think about, the transition to the new property can be overwhelming. But with our assistance, moving to Haggerston or anywhere nearby could be as easy as just giving us a call. We want customers to enjoy the process and so we have designed our services to offer expert help capable of making your life easier. After having spent a huge amount of time in the industry, we have learned what customers want and need. So, when you’re wondering about who to hire to help you with removals to the E2 area, you only need to act now and call 020 8746 4402 today for a free quote. What Do You Need To Know About Haggerston? 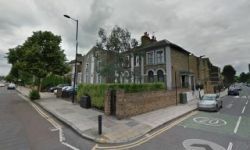 Found in the London borough of Hackney, this area is located in the north east part of the city of London. In terms of borders, many people consider Hackney Road, Kingsland Road, Middleton Road, London Fields, and Broadway Market to be the surrounding locations. In terms of well-known places, the area houses parts of Regents Canal, Haggerston Park, Hackney City Farm and Regent Estate. Because of this abundance of parklands, matched with the areas numerous bars and nightlife spots, many people visit the area for relaxation purposes. As well as this, there are a number of nearby places equally as popular. These include Dalston, Cambridge Heath, Shoreditch, Bethnal Green, Hoxton, and De Beauvoir Town, all within walking distance. For travel further afield, Haggerston Station and Cambridge Heath station allow access to the train network. There are a large number of buses travelling throughout the area and they run both during the day and during the night. How Can We Make A Difference To Your Moving? But how do we make such a big difference? For many customers, it is the reassurance they have a professional team ready to help with any and every situation. We know the industry better than anyone else, having spent so long providing all possible removal services in E2 district. There is nothing we cannot handle; no job is too big and no job is too small. Got a big sofa and narrow halls? We can help. Want to cut time by hiring a packing service? We’re the perfect choice. Worried about fitting everything into the van and ensuring it will make it to the new home in one piece? Our removals experts know exactly how to help. Whatever it might be you need from your removal company, our team are here to provide the award-winning assistance you need. Possibly the best aspect of hiring Moving Service to help with the big move is the money we want to help you save. Having been in the industry so long, we understand what people need. We know great value is a big part of hiring help when planning your removals to Haggerston. As such, we want to ensure you get a great deal with the lowest priced moving services anywhere in the area. For those who need to save money, we’re sure to have a service matching your exact needs and your exact budget. Getting the best help for your money is simple. Hire us as your movers in E2 region and you will not have to worry about the endless expense many people encounter when moving home. If you’d like a free estimate or a free consultation, talk to an expert today by dialling 020 8746 4402 right now.